CydKnight replied to XGtE: are any of those flavor magic items any good? My Battlemaster recently used Heward's Handy Spice pouch to season some Axebeak roasted by the fire after the party took down a charging flock of them. For barbarian players. Are you guys ok with how the Injury table currently in the original post interacts with the barbarian class features? CydKnight replied to What's your opinion on "Save or Die" effects? I think a true "save or die" is better-suited for an end game encounter which the party knows is the end of the campaign or, perhaps the end of a campaign chapter. In that case they should realize this is a possibility going into the encounter and will likely come up with a strategy to counter it as @Charlaquin mentioned above. I guess because of famous cases, I was under the impression that a coma lasts for a year or more. But it turns out, a coma normally lasts for several days to several weeks. So I am unsure how to handle it mechanically. Causes of a coma mainly relate to lack of oxygen to the brain, including blood loss or brain hemorrhage. As such, it seems a possible outcome if failing death saves. CydKnight replied to Why is the shortest lived edition, still one of the most popular? I believe the idea was to have all of the guides linked here so I doubt you will find any elsewhere on this site. Yaarel replied to How do you handle hit points? Quickleaf replied to How do you handle hit points? CydKnight replied to Your most used accessories? Since I now use it in-game as well as to keep track of things out of game, I have to say my laptop. After that I would have to say my Chessex Megamat or my GameScience dice or my various minis. CydKnight replied to Ritual Spells - do they need to be a separate category? There are some interesting points raised here but I don't feel that all out of combat solutions (or in some cases combat preparation) should potentially be solved without any tangible cost. At your table you can always do as the player collective wishes if you feel it works for you. This assessment was in 2017. At the time, the Tiefling appeared to be a moderately powerful race. The ranking is as follows from most to least: Half Elf, Wood Elf, Drow Elf, Half Orc, Tiefling, High Elf, Mountain Dwarf, Hill Dwarf, Forest Gnome, Rock Gnome, Variant Human, Dragonborn, Stout Halfling, Lightfoot Halfling. Come to think of it, perhaps most of the monster characters work well as a ‘prestige class’ levels 1 to 4. The part about 4e-5e cantrips that matters to me is the always-on at-will magic. It makes it clear that the character is magical. Not the bat dung. I agree that (well thought out and balanced) prestige classes can work instead of 5e archetypes. Give me an example, of ‘microfeats’ that you have in mind. For me the appeal of cantrips is flavor. If I am playing a magical character, I want my character to do magical things. F darts! @Zardnaar. Huh. 1. I agree that (meaningful) player options are a good thing. But everything else you listed in your ‘good’ column is actually in my bad column. I am a fan of Charisma. I feel Charisma necessarily includes ALL social skills, including Insight and Willpower. But facts are facts. If someone knows the facts, one must argue Intelligently to persuade them otherwise. In other words, Intelligence logic. Intelligence is a significant factor. But so is a skill bonus. Quickleaf replied to Help! What’s the best place in the multiverse to hide from the Inevitables? Heh. The reverse seems to be true. If a person is educated about what the facts actually are and is speaking the truth, then often enough, the uneducated listeners might assume the educated person is trying to deceive them. Because the uneducated person has no way to tell if a fact is true or not. I have never had a problem with dividing loot. In every gaming group I have been in, players have agreed that whoever benefits the most from an item gets it. And if there was an honest tie, some kind of bargaining happened. Yaarel replied to D&D Products That Were Never Used By Anyone? That is a pretty brilliant comment. Uneducated people can bluff other uneducated people. But educated people who happen to know what the facts are cannot be ‘convinced’ by smooth talking. It is like trying to hide in plain sight. The uneducated deceiver looks like an idiot while everyone watches. Painfully. The only way to deceive people who know the facts, is by means of an INTELLIGENT ploy. Consider reallife. Someone is pretending to be a doctor, and successfully bluffs their way thru hospitals and medical insurance companies. People of low Intelligence cant do that. They have to be Intelligent. Essentially, these are smart people of dubious ethics, who are self-taught as they go along. To ‘deceive’ is a tactic. Not a motivation. Why is the person trying to deceive? That is where the motivation is. It is just as easy to tell the truth to get whatever one wants. Especially half truths. Same thing goes with forgeries, such as fake documents or fake signatures. A person has to be Intelligent, and normally a highly educated specialist, to recognize a forgery. It certainly requires education to successfully produce a forgery. The creation and detection of forgeries should be Intelligence Investigation checks. This is one of the many reasons to eliminate the Wisdom attribute from the D&D gaming system. • Give Perception to Intelligence. • Give Insight and Willpower saves to Charisma. Done. Without Wisdom, everything works clearer and better. All that one needs to play the mental aspects of D&D well is Intelligence and Charisma. I'd be tempted to make it a place an inevitable can't enter. Specifically, I'm thinking about a bit of lore concerning the Infinite Staircase, wherein any living being could – once in their lifetime – ascend stairs on the Infinite Staircase leading to the "city of their dreams." And any given creature could only reach this city once. If you passed it up, you never could find it again. CydKnight replied to What are you currently playing? Quickleaf replied to Your most used accessories? 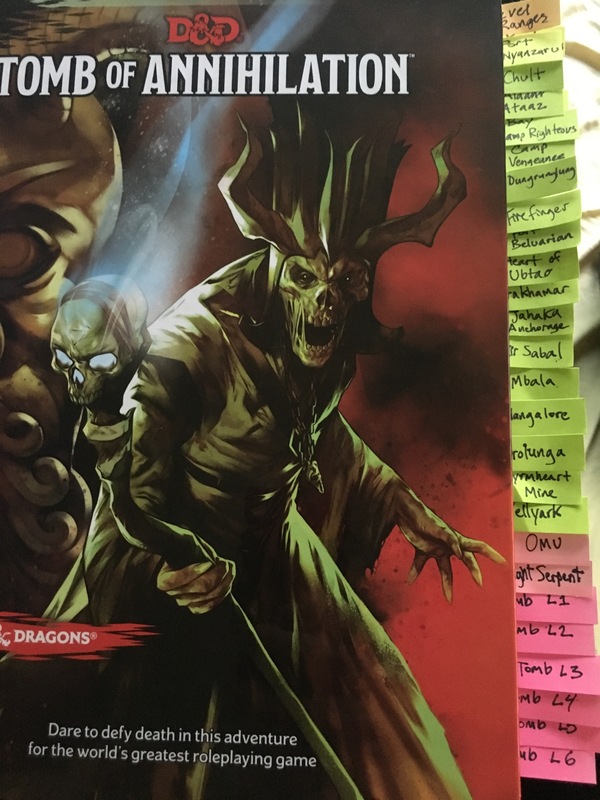 I've been using Paizo's GameMastery Treasure Cards, and for helping players keep track of their stuff when there are weeks between sessions, they're indispensable. I place yellow sticky notes on backside with handwritten info, and my players now use Topper card protectors to keep track of them. CydKnight replied to Preferred DM vs PC game type. CydKnight replied to DMing "Out of the Abyss"
CydKnight replied to How serious is your d&d? I had played AD&D in high school many years ago and then stopped playing after graduation due to losing track of my game mates and life and whatnot. Fast forward 29 years later and I stumbled upon D & D again under the 5E rules. I've bought and read through all the core rule books: PHB, DMG, MM, SCaG, Volo's, Xanathar's, Mordenkainen's. After more than 2 years of becoming well informed on 5E rules, playing, and running a game of my own, I consider myself to be a serviceable DM and competent player with plenty of room for improvement. I am currently playing in a group that meets weekly. We are playing two campaigns with each alternating each week. One is a homebrew world being run using 5E D&D rules mostly as written but with a few minor variants. I am playing a Human (Variant Battlemaster in this campaign. The other campaign is Out of the Abyss which I am running using pretty mostly rules as written with no restrictions but I am implementing some sub-plot lines created myself with much inspiration from web research including ENWorld, DM's Guild, Faerun Wiki, etc. These sub-plots are not part of OotA as written. 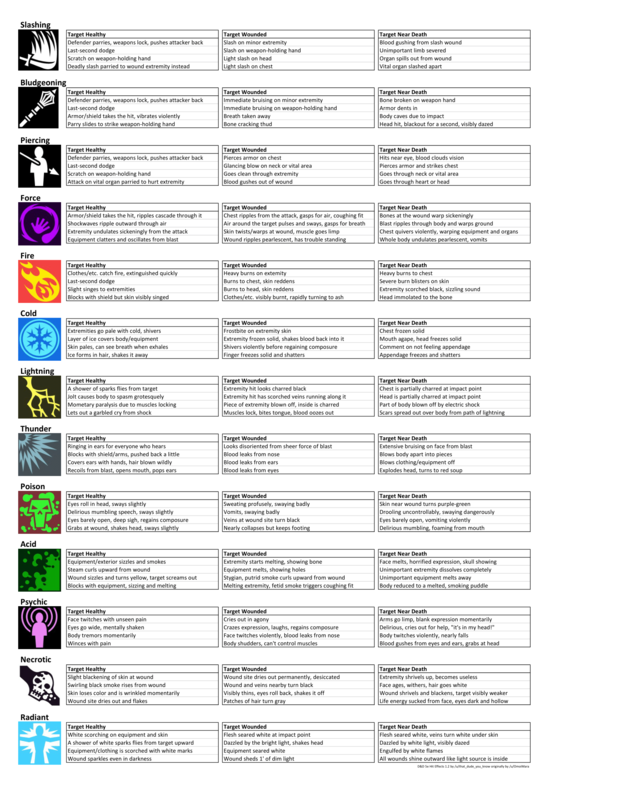 They include introduction of the Eilistraeen pantheon along with NPCs that will reinforce a faction of good Drow, as well as, a Mastermind character with plans of "taking over the world" who is more a seed should the players decided to continue with their characters beyond the OotA campaign as written. I have several characters that I like in 5E rules but have only played a few. I have played a few regular, recurring AL games with a Wood Elf Way of the Fist Monk, a Half Elf Lore Bard, and a Human Fighter Battlemaster. Some characters ideas that I have are a Wood Elf Assassin, Wood Elf Ranger (Hunter), High Elf Wizard (Diviner), an Aasimar Paladin (Vengeance), a Variant Human Sorcerer (Storm), a Hill Dwarf Cleric (Life), and a Variant Human Barbarian (Totem). Recently I have created a Mastermind who is an Air Genasi with a master plan to unite all Genasi under on banner. It seems this may be a better idea for an NPC who may end up being the BBEG. 07:21 PM - Umbran quoted CydKnight in post Why does the stigma of the "jerk GM" still persist in our hobby? It's just that I can't help wondering how such GMs would continue to find games to run long-term or even short-term in extreme cases? Consider the number of other abusive relationships humans are empirically known to keep themselves in. Really? I'm playing it wrong? Because I'm not inspired by pirate themes in the game? You are not playing it wrong. But you are playing it differently, which means your attempt to make a general point falls flat. You don't like pirates. I don't like orcs. So what? Pulp pastiche, genres were never disputed or introduced in my original thread nor does it influence my original opinion. It still doesn't feel D&D to me which is all I was trying to say. It feels more like its own genre to me. Then you are playing D&D in a way that diverts significantly from much of the literature that inspired it. This is provable: Look at the original appendix N in the 1st edition DMG. That's fine, you can play D&D any way you like. That's an interesting take. I was under the impression I could feel what I like in whatever way I wish. So yes, for me, in my own unique personal perspective as offered, it really is "just a matter of subjective feeling." You have the right to your own opinion, but not your own facts: D&D is a pulp pastiche that hits certain genre notes that PotC also hits, including ones it clearly lifted from D&D. Not to me but to each their own. It's not just a matter of subjective feeling, though: PotC uses D&D-ish pulp tropes, you can assign Classes to many of the characters, and the big bad is a Mindflayer who has a Kraken buddy and a lost love who is a goddess pretending to be a hag. I've never been drawn to "ship-themed" adventures. Perhaps I associate such a thing of working thematically like the Pirates of the Caribbean movies which I really don't associate with D&D? I suppose if I had additional inspiration and gave it more thought, it could be fun? Pirates of the Caribbean is very D&Dish. It's a lot close in tone to the-game-how-it-is-really-played than a po-faced LotR movie. I've never been drawn to "ship-themed" adventures. Perhaps I associate such a thing of working thematically like the Pirates of the Caribbean movies which I really don't associate with D&D? I suppose if I had additional inspiration and gave it more thought, it could be fun? The Pirates of the Caribbean movies are super D&D, though? The thing is, it is an adventure genre not extremely well supported out of the box. Adequately, but with a lot of DM elbow grease to fill the gaps. A book to fill those gaps is about what the doctor ordered. One thought I did have reading through this. What if the players decide they do not want the mansion at Trollsclaw Alley and want to sell it without moving in? I can see where some players (and some DMS) would see this as a distraction while dealing with the focus of the adventure. It ties in to one major hook but I can see plenty of other ways to set that hook that don't involve running a household and tavern. The selling of Trollskull manor has been mentioned before in another thread. That is certainly an option, and I think the final agreement on the price of sale was 5000gp. I've never been drawn to "ship-themed" adventures. Perhaps I associate such a thing of working thematically like the Pirates of the Caribbean movies which I really don't associate with D&D? I suppose if I had additional inspiration and gave it more thought, it could be fun? I'm fairly neutral, considering you could simply treat ships as moving dungeon rooms. That is: the product may well provide more details for players interested in the nitty-gritty of ships, but it is the style of D&D of not requiring such interest. 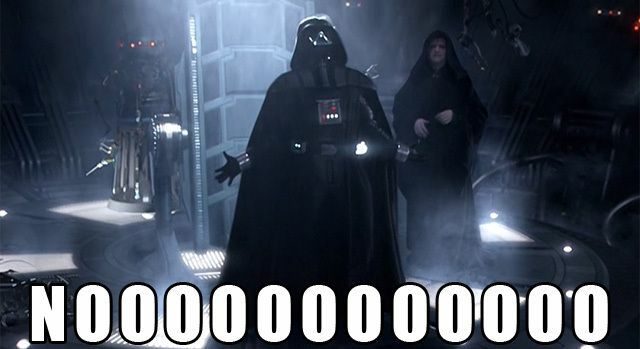 For the first time ever, my character may actually die during character creation. :lol: Clearly, you haven't played Traveller before; it's famous for the chance that your character can die before you actually start a game. 07:14 PM - Quickleaf quoted CydKnight in post What is this villain's next step? At the risk of being overly contrarian for contrarian's sake, I would amend this statement to "nothing in the history of the universe has ever lasted forever". Also, the inevitable end of 5E doesn't necessarily mean there will be a "6E" or any other new edition. It may mean the end of D&D (gasp!). Well, luckily it can only mean the end of the D&D *name*. The OGL ensures that the game itself will live on, even if under a different name. 04:24 PM - Fauchard1520 quoted CydKnight in post Bards. They are silly. Is there a way to make them NOT silly? Perhaps a Bard could be a writer of fiction as his creative talent rather than music or poetry? That's the thing. This makes sense in my head as a player. But when it comes time to inspire my companions in battle, how do I describe the action? You can't begin reading fiction at the enemy. I can somewhat corroborate that - if you do start with your PCs a little higher (as I did) - many of the later encounters, especially the random ones, become somewhat of a cakewalk for the heroes. I really ramped up (often increasing the amount of, or adding additional monsters) those encounters, but many of them were still quite the yawn for my players, as they buzz-sawed through them.